Michael Fishman Wife, Family, Children, Net Worth, Where Is He Now? 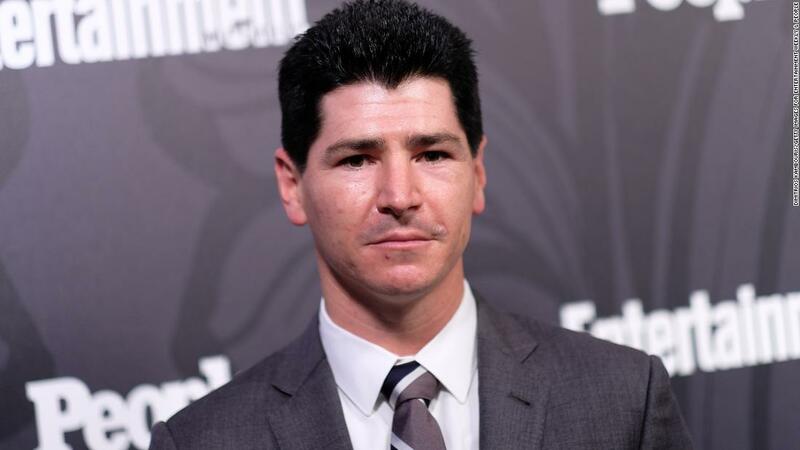 Home Actors Michael Fishman Wife, Family, Children, Age, Net Worth, Where Is He Now? Michael Fishman Wife, Family, Children, Age, Net Worth, Where Is He Now? Michael Fishman was a famous child actor from the 90s who rose to prominence with his first ever acting gig as D.J. Conner on the TV show, Roseanne. He went on to work behind the scenes, first as an executive producer, then as a writer, director, and set builder. The actor appeared in other TV shows and films over the years including Undrafted, Seinfeld, Hitz, Little Bigfoot 2: The Journey Home, A.I. Artificial Intelligence among others. Michael Aaron Fishman was born on the 22nd of October, 1981 in Los Angeles County, California. His father, Nelson Fishman, worked as a jeweler while his mother, Darlene Fishman, was a nurse and a community college professor. He was a middle child with an older sister named Robyn and a younger brother named Matthew. For his high school education, Michael attended Orange Country High School of the arts while at Los Alamitos High School. He turned down admission to study veterinary medicine in order to help raise his younger brother, Matthew. Shortly after, Michael got married to Jennifer Briner. He then started work as a carpenter but ultimately switched profession and became a high school coach, staying in the position for ten years. During an audition at the age of six in 1988, Michael met Roseanne Barr who is an actress, comedian, writer, TV producer and creator of the ABC sitcom Roseanne who fought for him to be cast for the role of D.J. Conner. Michael went on to portray the character from 1988-1997, he was 15 years old when the show ended. During the show’s run, he guest-featured in several other shows and film projects such as Little Rosey (1990), Hey Arnold (1996) as Joey, Little Bigfoot 2: The Journey Home (1997) as Mike Holliday and in Seinfeld (1997) as Gregg. Later, Michael Fishman worked on projects such as The Real Roseanne Show, Great Job, Thanks! and the Sports Science show as the director, executive producer, writer, set builder and camera operator. In 2007, he was nominated for an Emmy as Outstanding Production Design/Art Direction for the show Sports Science. Michael reconnected with Roseanne again with the show The Roseanne Show as a co-host and on Roseanne’s Nuts as himself. He also appeared in the TV series Walker, Texas Ranger as Snake, in Steven Spielberg’s sci-fi film A.I: Artificial Intelligence as a teen in a van and in the movie, Undrafted as Antonelli. Michael Fishman married his teenage sweetheart Jennifer Briner at the age of 18 on October 22, 1999. During their marriage, Jennifer – who was a daycare teacher, was diagnosed with an unusual kidney disease, this led the couple to become advocates to raise awareness for the condition. The coupled were married for almost 20 years, with two children – a boy and a girl, before they decided to get a divorce in June 2017. However, they decided to put their divorce on hold because Jennifer was son Michael’s health insurance plan. According to Michael Fishman, their decision to end their marriage had been a mutual agreement. Where Is Michael Fishman Now? On the 28th of April, 2017, ABC announced the revival of the sitcom Roseanne with all its original cast members. At the time, it wasn’t certain if Michael will also be cast in the show but in May 2017, it was confirmed that he will be reprising the role of D.J. Conner. The show’s revival pilot episode had an impressive 18.44 million viewers, all but guaranteeing the show’s success. However, the creator – Roseanne Barr, wrote a racist tweet about Valerie Jarett who was an advisor of Barack Obama at the time. The public backlash resulted in the show being canceled after one season. Later, a spin-off called The Conners was announced on the 21st of June 2018 which included all of the original cast, including Michael Fishman with the notable exception of Roseanne Barr. The American actor currently is worth $8 million, this is as a result of film and TV ventures. Besides, working as an actor and director, he is also a voice actor, appearing in several animated shows. Beyond this, he is also a producer, writer, set designer, and UNICEF ambassador.